Sauna is one of the most popular wellness and spa activities in the world. 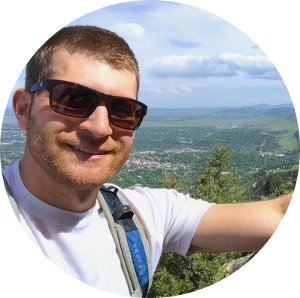 Although this blog focuses mostly on home infrared saunas, it is always good to know something about how it all began. The original saunas are much older than the infrared technology and work on a different principle. 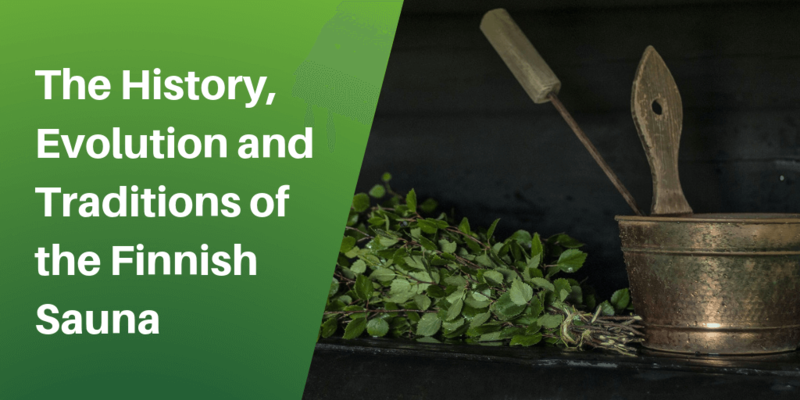 In this article, we will look at the history of the Finnish sauna and most popular traditions and rituals connected to the sauna culture. 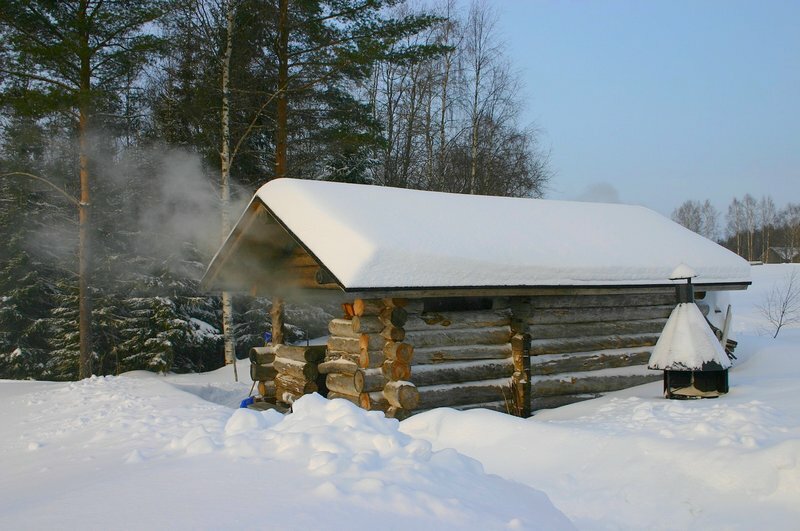 The oldest traces of saunas in Finland date back to the Ice Age. The very first primitive saunas were just holes in the ground covered with animal skins. It was a natural way of the old nomadic people that inhabited Finland to stay warm up in the cold environment. They were used to smoke the meat too. As people ceased to move from one place to another and began a more settled life, the structure and construction of the saunas changed as well. During the Stone Age, saunas were no longer build under the surface. Instead, a simple covered wooden construction with a fireplace inside. This was a predecessor of the smoke saunas. The next step in the evolution of Finnish saunas was the smoke sauna that arose at the end of the Iron Age. It contained a fireplace with big rocks that had to be heated for several hours. The smoke was released outside but the heat from the rock remained inside and warmed up the air inside the cabin. This type of sauna was used for hundreds of years, until the early 20th century, when it began to be replaced by iron stoves releasing the smoke through the chimneys. Different kinds of heaters were developed during the centuries. It was only after the Second World War that the electric or gas heaters started to be used. This method saved the wood and, more importantly, shortened the heat up time to about 30 minutes. It made the manufacturing of the sauna convenient and practical and saunas became more accessible. This kind of heaters is used up to this day in modern Finland. Throughout the history of saunas in Finland, many local myths and fairytales emerged. A sauna session involved a lot of spells and special rituals by the magicians who were believed to be able to heal the people. Bathing in the sauna required respecting these traditions to ensure that the person will be healthy and will have a good sauna experience. It was also believed that saunas had their own spirits to protect the place and its owners. They required that the users adhere to certain rules – it was not allowed to curse in the sauna and the users couldn’t be noisy or drink alcohol. Sauna bathing too late at night could disturb the elves. To have a successful and healing sauna bathing, one could bring a glass of water or light a candle as an offering to the sauna spirits. Saunas always had a special place in the Finnish society. It was not only used as a place for relax, but it had many other medical, social and religious purposes. The children were born in the saunas, Finnish women went through the special ceremonies and rituals before they were married and older people visited saunas to die there peacefully. Saunas were used for religious ceremonies, healing of the sick and of course – they were a social places to meet with the others and relax. There is a saying in Finland that goes “In the sauna, one must conduct themselves as one would in church.” Today, Finnish saunas are popular all across the world and Finns are well-known for having saunas at home. Another well-known Finnish sauna-related sayings states that “a house without a sauna is not a home”. Saunas are an important part of the Finnish lifestyle and you can find them almost everywhere. It is said that about 3 millions out of 5 million inhabitants of Finland have a sauna at home. No wonder that you can find one in the Finnish parliament too! 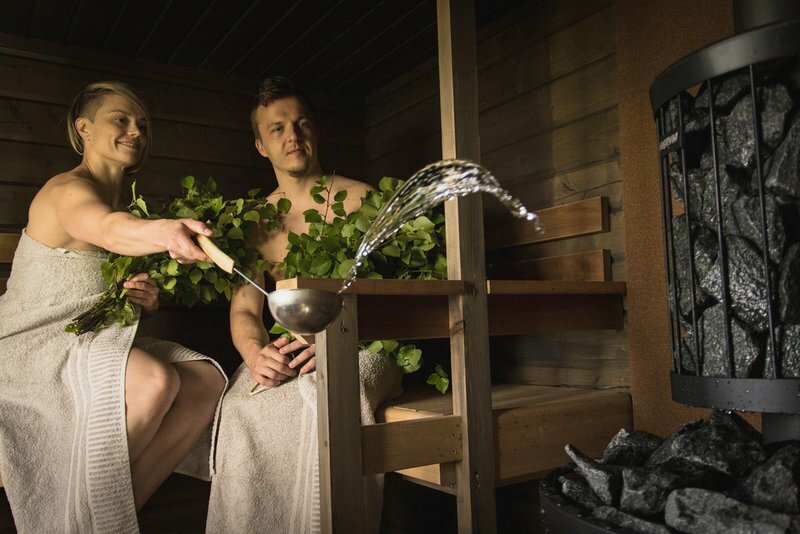 An inseparable part of the sauna ritual in Finland is whisking. A whisk is usually made of fresh birch, oak or eucalyptus twigs. Warmed up in a hot water, they release a pleasant aroma. You can whip yourself or your sauna partner gently all over the body to improve the blood circulation, relieve muscle tension and cleans the skin. It is a ritual that is very popular. The whisk has even its own special emoji symbol in Finland. The best way to end the sauna ritual in Finland, a pleasant and relaxing social event, is to dip in a cold lake through the hole in the ice or to roll yourself in the snow.